 Ushering a new being into the world is a momentous and life-changing experience. There are numerous decisions to make and much knowledge to be gained throughout the process, but one of chief importance is choosing your child’s name. The task is formidable considering the fact that a name is one of the most important representations of a person in his or her life. Your son or daughter’s name will become a part of their identity. The following is an introduction to the process of choosing a Hebrew name that would be harmonious with your baby. Giving a Jewish baby a name represents not only the future we hope for him/her but also where he/she comes from: roots.  The Sages say that a baby’s name signifies its special character and unique path in life. In our lives, the only thing that we are given at birth and take with us at the end is our name. It’s our job not to merely live up to the identity, but to transcend it with the integrity and deference which, at the end of the proverbial day, represents the inarguable nobility and prominence of a good name. Furthermore, the Talmud says that parents receive one-sixtieth of prophecy when selecting a name. It is said that an angel comes down to whisper to the parents the baby’s Jewish name – a holy embodiment of who he is and will be. It is a profoundly, spiritual and enriching experience. Several customs are connected to making a Hebrew name choice. In Ashkenazic communities, the practice of naming a child after a relative who has passed, thus keeping the name and the memory alive, is quite common. Furthermore, it can form a metaphysical connection between the souls of the baby and the deceased; possibly elevating and bestowing much honor upon the relative’s soul. The child can also reap the benefits from the deceased’s qualities passed on through the name. In contrast, giving a child the name of a living relative can bring bad luck to the living man or woman and shorten the person’s lifespan. In the case of more than one relative sharing a name, where there is a deceased person baring that name, with an existing relatives, it’s best to remain with the status quo and not use that name, unless of course all relatives with that name are deceased. In Sephardic Jewry, children are named after relatives who are still alive. This custom’s roots are traced back to the era of the Talmud, a time when children’s namesakes were great sages that were still alive. The Sephardic community does not share the Ashkenazic belief that naming a child after someone living can be harmful to the living relative. On the contrary, they (Sephardic Jews) believe that making the baby a namesake of the living relative is good luck and will prolong life. Since in their belief it is positive, naming a baby after a live relative is common practice. Although these two views wholly oppose each other, they still share one similarity. In both cases, the child is named after a beloved or respected family member. This practice provides a connection between future and past generations contributing to the long chain of the unrelenting Jewish faith and perpetuation of our proud heritage. A Hebrew name is not just a convenient assortment of letters. In Hebrew, a name reveals its underlying characteristics. The Midrash states that Adam, the first man, named every creature after the careful study of its quintessence. As an example, the English word “donkey” holds no etymological significance and is obscure (bearing no meaning) whereas in Hebrew the word for donkey (Chamor) bears the same root as “Chomer” which means “materialism”. Donkeys are, in many cases, characterized by bearing material burdens; hence the name Chamor (“materialism”). A dog in Hebrew is Kelev which mean Kulo Lev (“it’s entire essence is heart”). A dog will not go against its master because it has gratitude it has a big heart that its core. A similar concept applies to people. The matriarch Leah in wanting to express her gratitude to God named her fourth son Judah (in Hebrew, Yehudah) which shares the same root word in Hebrew as “thanks”. So the essence of this boy becomes gratitude. We all wish the best for our children’s souls, and to ensure this, it is important to choose a name that will have a lasting positive impact on our child’s soul. Since a person always carries their name and its meaning with them, it is paramount for the name to bear only good. Someone named Judah is always reminded of the gratitude we need to show God. The name Esther means “hidden”. During the Purim story the hero, Esther, was known to be beautiful and was chosen as queen in the end. Although she is outwardly beautiful, it was her inner (hidden) qualities that made her the story’s hero. Another popular name is Ari, which means “lion” in Hebrew. In Jewish literature, the lion is a symbolof the initiative. He initiates the performance of a Mitzvah. In many cases, outside of Israel, parents give their child a secular name for everyday use and a second Hebrew name for use within the Jewish community. Many names can fit both purposes, thus eliminating the need for multiple names. Names like Miriam, David, Jacob, Sarah, Noah, and Rachel are but a few. It is a common misconception that is it forbidden to announce the name of a baby prior to a Bris ceremony. The baby is never officially named beforehand since the body and soul can only become unified once the Bris is performed and the foreskin is removed. As such, Abraham’s name was changed at the time of his bris as both his body and soul were fused into one therefore we give our boys a name at the time of their bris. There is caution associated with using the name of someone who had passed away at a young age due to the possibility of passing on misfortune to the name’s new bearer. 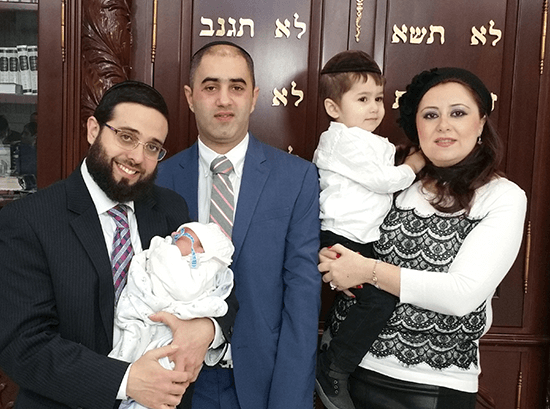 Although the term “dying young” is relative, according to Rabbi Moshe Feinstein, if a person was married and had children, it is of no importance at what age they left the world of the living. Their lives are considered full and accomplished. However if they died an unnatural death then the name should be altered a little. Before giving a name spend some time analyzing all of the different possibilities. Study the essence of the name it will have much more meaning when you name him. Remember this will be something your boy will carry around for the rest of his life.